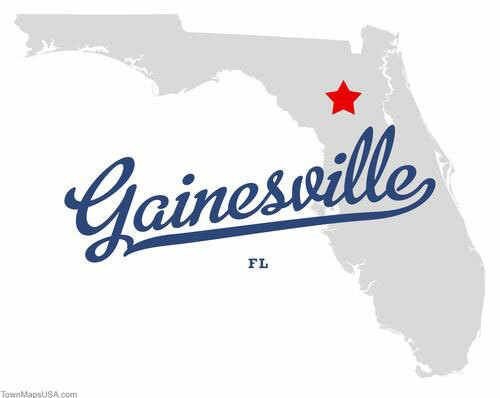 Gainesville, FL is located in the middle of beautiful natural resources in North Central Florida and is home to the University of Florida. Gainesville has a wide variety of activities for people to participant which includes the great outdoors, arts and culture, sporting events, and a large variety of local restaurants. To find out more information about Gainesville please go to http://www.visitgainesville.com/.